Stylize, customize, personalize and also protect your device, giving it a new look with this leather.. Specifically designed for your mobile phone.. TPU cases protect your device from dust and scratches,.. 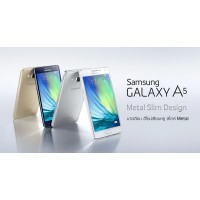 Protect your Galaxy A5 with style, with this Ultra Slim tpu case. Made of flexible durable..